It’s time for Season 2!! 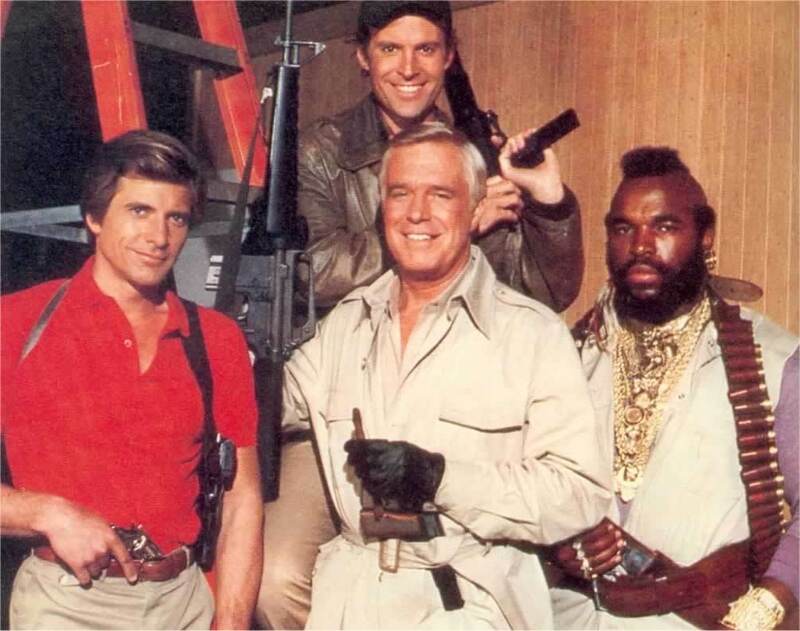 The A-Team is back, and they are all here, Hannibal Smith (George Peppard), Face (Dirk Benedict), Murdock (Dwight Schultz), B.A. (Mr. T) and Amy Allen (Melinda Culea)… and they are on their way to Africa in Diamonds ‘n Dust. Written by Patrick Hasburgh, this episode originally aired 20 September, 1983, and saw the team hired by Toby Griffin (Kristen Meadows) to help her and her father protect their diamond mine. It seems a local tycoon, Fletcher (Albert Salmi) isn’t above murder to get the mine away from them, and our Team needs to transport a dangerous load of dynamite to the mind to help with its production (shades of Wages of Fear, though nowhere near as explored as I would have liked it to be). While not a serialized show, it’s nice when there are nods to continuity, in this case, there is mention of Beller Air from last season which is a nice touch, and may explain how they get on an international flight with an incapacitated B.A. Murdock continues to be the most enjoyable character, always bringing a sense of play to things, this time, with a stuffed bear named Bogey, who goes with him everywhere… until the baddies shoot him to pieces. And despite Face’s best efforts, he ends up getting absolutely nowhere with Toby, though they may end up being business partners. A fun start to the season, but we’ll see how the rest of it plays out. Up next is Recipe For Heavy Bread, which aired on 27 September, 1983 and was written by Cannell. Face, for reasons that are best perhaps unexplored, and unexplained, brings the team to lunch at one of his favorite restaurants. He thinks some of the food tastes familiar, and they recognize that one of the cooks, Lin Duk Coo (Mako) violated camp rules in the POW camp the team spent some time in during Vietnam, by feeding them. But the camp’s General, Chow (John Fujioka) is also there, and he is running heroin, and sees Lin, as well as the A-Team as a threat. He’s also working with a former camp prisoner, Tom Anderson (Marjoe Gortner), who wasn’t above betraying his comrades for better treatment while he was being held in the camp. 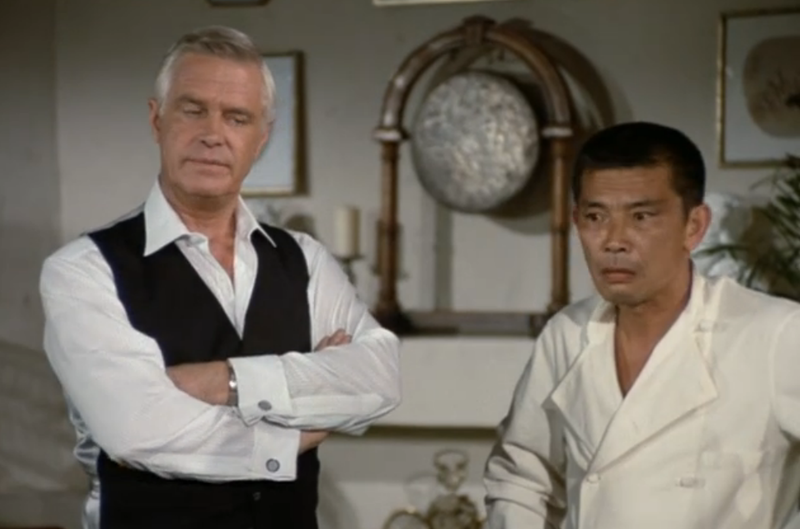 Personally involved this time, the A-Team is intent on taking down Chow and Anderson and making sure that Coo is safe, and happy in his new life in America. Poor Face really gets it this episode; he may not be able to go back to that restaurant ever again, and then when the Team takes over his penthouse apartment (he has been posing as an interior decorator), he’ll be lucky to get a nice place ever again. This is a fun, fairly fast-paced episode that shows that shows that both sides the war were guilty of betrayals, and not everyone on either side was good or bad. Though it gets a little lost under the fun stuff going on like… Murdock trying to start a golf ball revolution.